(Reuters) – U.S. Environmental Protection Agency chief Scott Pruitt’s security detail has cost taxpayers well over $3 million so far, up sharply from his predecessor during an equivalent period, according to details released by the agency, which said Pruitt’s life had been threatened. Pruitt, who environmental groups have accused of lax enforcement and cozy ties with industry, requested 24-hour protection beginning on his first day in office. 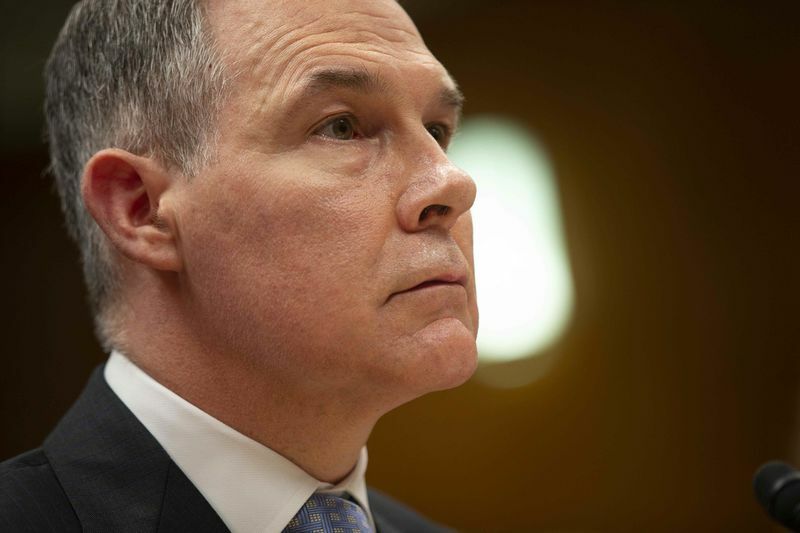 It was an unusual measure for the nation’s top environmental regulator, and Pruitt and the agency have said it was justified by a high number of threats to his life. “Administrator Pruitt has faced an unprecedented amount of death threats against him and to provide transparency EPA will post the costs of his security detail and pro-actively release these numbers on a quarterly basis,” EPA spokesman Jahan Wilcox said in an emailed statement. “Americans should all agree that members of the President’s cabinet should be kept safe from violent threats,” he added. Payroll for the EPA administrator’s security detail cost taxpayers $3.43 million between the first quarter of 2017 through the second quarter of 2018, according to the figures, released as part of a Freedom of Information Act request. That compares with $2.48 million spent on his predecessor Gina McCarthy during the first six quarters of her tenure, which began in the middle of 2013, according to the figures. Travel for the administrator’s security detail, meanwhile, has amounted to $935,636 since the start of 2017, compared to $390,924 during the equivalent period for McCarthy, according to the figures. Pruitt’s spending on security, first-class air travel and office renovations, has been subject to intense scrutiny from lawmakers. Many Democrats and a handful of Republicans have called for his resignation over the issue. EPA’s Office of Inspector General has said Pruitt, who has been actively pursuing President Donald Trump’s agenda to roll back environmental regulation and boost industry, has received many times more threats than previous EPA chiefs, a lot of them in the form of email and social media posts. Trump has expressed support for Pruitt, saying he is doing a “fantastic” job at EPA. Some other top administration officials have resigned or been fired over spending scandals.